Film Literacy in Europe | D.A.R.E. This project, funded by the European Commission, was a study of film education in 32 EU member states. The project was conducted by the BFI, the UCL Institute of Education, and Film Education. It studied a range of questions, including how film education is perceived in the different countries, what kinds of provision are made and for whom, and where it is located, both within and beyond formal education. It explored different motivations: the interest of the film industry in building audiences, of policymakers in developing support for national film heritages, and of film educators in developing critical consumers and creative producers. It proposed that film education is a social good, only coherently and fully offered as an entitlement for all. The study was conducted with the collaboration of film educators and researchers in the member states, and with an expert panel who advised on the structure, themes and content of the study. The project was part of a series of research studies funded by the Media Literacy initiative of the European Commission. in this respect, film literacy is conceived as a subset of a more general concept of media literacy. The draft report has been presented to a number of audiences across Europe, including the Creative Europe conference on New Opportuities for Film and Media Literacy in Brussels on 16th November. 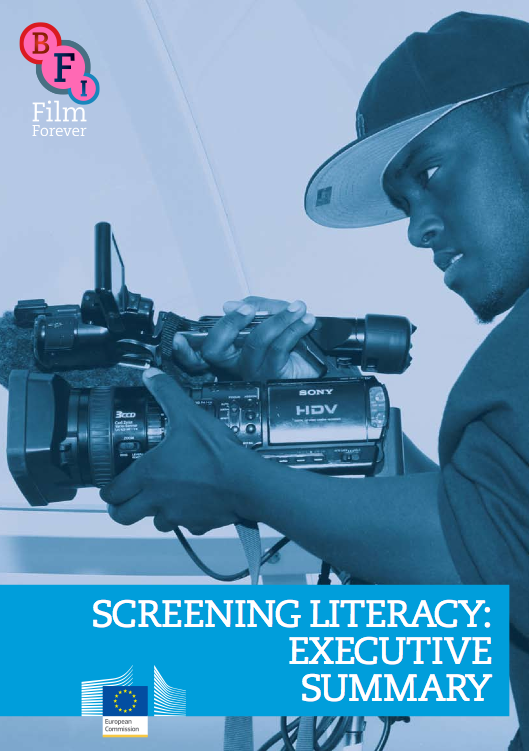 The final report, Screening Literacy, is in three parts. The Executive Summary provides the overview and the recommendations. The Country Profiles provide accounts of film education each of the member states, complied by the project researchers and expert consultants in each country. The Case Studies provide examples of good practice across the EU. To read these, follow the links below. Or download them as pdfs below.